Lagos, Oct 10 - The Shell Petroleum Development Company (SPDC) of Nigeria Wednesday closed down the Trans Niger Pipeline (TNP) in the southern Niger Delta region following reports of new leaks. The incident came up barely 10 days after the line was repaired from crude oil theft incidents, reported Xinhua citing the oil company in a statement, which added production of some 150,000 barrels of oil per day has been deferred due to the shutdown. New Delhi, July 28 : Despite their bilateral relations being at the level of a strategic partnership, problems related to the Nigerian community in India are a dampener to India's relations with its largest trading partner in Africa. Nigerians are not allowed to start businesses in India even though Indians runs restaurants and shops all over Nigeria, says the country's high commissioner. "Indian immigration is not being too helpful in terms of arrivals of Nigerians in India. We facilitate Indians going to Nigeria," Amaku complained. Lagos, April 17 : Nigeria's Boxing Board of Control (NBBC) has appealed to the government to grant adequate tax rebates for corporate organisations that sponsor professional boxing in the country. Secretary of the organisation Remi Aboderin said here Wednesday that such gestures would attract corporate sponsors to boxing and other sports. He added that the board had a long list of boxers who want to turn professional but lack of promoters was stalling the growth of professional boxing, reports Xinhua. Accra, Jan 18 : Indians in Nigeria have been told to to limit their exposure in areas where they could fall victims to violence caused by the Boko Haram rebel group. The Indian High Commission said that last year "Indians living in Nigeria came under an unprecedented level of insecurity and were, occasionally, unfortunate victims". One Indian was killed and six were injured in multiple attacks in Kano city. Armed pirates who stormed oil tanker "SP Brussels" off Nigeria kidnapped five Indian crew members and snatched their personal belongings, Medallion Marine confirmed on Wednesday. Medallion Marine, the operator of the SP Brussels tanker, said in a statement that five Indian sailors onboard the oil tanker were kidnapped by heavily armed pirates nearly 40 miles off the coast of the Niger Delta region. It has been found that the National Assembly members are being paid much more salaries than the recommended level by a senior level panel. It is believed that the salaries are now higher than those recommended by the Revenue Mobilization, Allocation and Fiscal Commission for lawmakers. Engineer Hamman Tukur, a former chairman of the commission has accused the lawmakers of paying illegal salaries and allowances to themselves. Niger, Oct 3 : Fallen Libyan leader Colonel Muammar Gaddafi''s son al-Saadi has branded Interpol''s decision to put him on the most-wanted list as political. In an email, al-Saadi called the Interpol notice a "clear political decision to recognize the de jure authority of the National Transitional Council taken without appropriate regard to the current absence of a functioning, effective and fair system of justice in Libya," Fox News reports. It was a blissful moment for peace, patience and their parents after these twins gets separated by the doctors. The twins had come from Nigeria to get themselves separated. The twins had been operated on June 7 at the Narayana Hrudayala Women and Child Institute and got separated. Before flying to their home in Benin; they were kept in rehab in Bangalore for three weeks. The girls' father Emmanuel is delighted to see her both daughter separated. He was happy that her daughters would be able to live normal and healthy life like any other children. Media reports have revealed that Nigeria President Umaru Yar'Adua died Wednesday after an extended illness. He was 58. CNN has reported that the Nigerian information minister announced Yar'Adua's death Wednesday on state television. Yar'Adua, who took office in 2007, is best known for giving amnesty to militants in the Niger Delta who continue their violent protest against oil production by foreign companies in the region. They'll take legal action against a politician who married a 13-year-old Egyptian girl at Nigeria's national mosque, Nigerian women's groups have said. The BBC reported on Wednesday that female members of the country's senate have promised to support a petition to reprimand Senator Ahmad Sani Yerima, 49. The BBC also said that Sani married the girl at the mosque in Abuja several weeks ago. It will investigate whether the marriage is legal, Nigeria's human rights commission has said. Women's rights groups say Sani has broken the law, citing the Child Rights Act of 2003. ABC News reported on Monday that a Nigerian man accused of attempting to bomb a jetliner in Detroit, is seen in an al-Qaida-produced video receiving weapons training. ABC said that the video, produced by al-Qaida in Yemen, show Umar Farouk Abdulmutallab in a training class shooting firearms at targets including the Star of David, the British flag and the letters "UN." 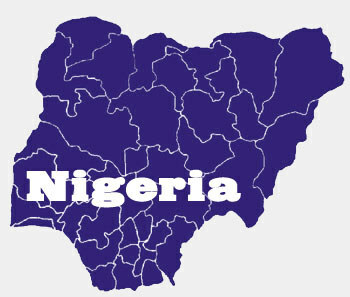 Nigeria being urged to investigate "unnecessary and avoidable deaths"
According to observers, Nigeria is being urged to investigate alleged "unnecessary and avoidable deaths" following a prison riot that left 10 inmates dead. Nigerian news site This Day reported on Friday that some prisoners attempted to escape from the facility in Kaduna Monday when government security forces moved into the prison to put down a riot by inmates protesting harsh conditions. This Day further said that prison staff members want the government to investigate the security forces' response they allege was "inappropriate and an abuse of laid down regulations." One staff worker said prison officers could have contained the riot and the use of guns by security forces worsened an already tense situation. Nigeria, during December 2009, produced 1.984 million barrels per day, excluding the condensate, and was the highest amongst the African countries, where as Angola was the next. Abuja, Jan 8 : Nigeria has given an ultimatum of one week to the US asking it to remove the country's name from the list of terrorism-sponsoring nations. The US government has blacklisted few nations whose citizens are subject to rigorous screening before entering America in the wake of failed attempt of terror attack on Christmas. Nigerian Umar Farouk Abdulmutallab, 23, was arrested for plotting a bomb blast in a flight from Amsterdam's Schiphol airport Dec 25 as it prepared to land in Detroit. Abuja, Dec 31 : Muslim leaders in Nigeria have denied allegations that the international terrorist network Al Qaeda is active in the country, media reports said Wednesday. Islamic clerics interviewed by Abuja newspaper the Daily Trust said the 23-year-old Nigerian who attempted to blow up an Airbus flight from Amsterdam to Detroit Dec 25 was an isolated case. "There is no connection between the accused and any religious group in Nigeria," Islamic scholar Abdulfattah Adeyemi was quoted as saying. Washington, Dec 27 - A 23-year-old Nigerian man charged with trying to blow up a Detroit-bound airliner on Christmas Day claims he obtained explosive chemicals and a syringe that were sewn into his underwear from a bomb expert in Yemen associated with Al Qaeda. Federal authorities have not independently corroborated the Yemen connection claimed by Umar Farouk Abdulmutallab, who was burned in his failed attempt to bring down the airliner, the New York Times reported Saturday. Washington/Abuja, Dec 27 - Nigeria's Vice President Goodluck Ebele Jonathan Saturday ordered a full investigation of the circumstances surrounding an alleged terrorist attack on a US airplane by a Nigerian citizen, according to the Nigerian newspaper, ThisDay. Umar Farouk Abdulmutallab, 23, the son of a wealthy Nigerian banker, was charged Saturday in Ann Arbor, Michigan, with attempting to destroy a Northwest Airlines passenger plane carrying 278 passengers as it prepared to land in Detroit.